A concrete suitable for conditions of hard surface wear and heavy traffic areas. A concrete topping layer added to standard concrete, when it is either hard, green or still semi-plastic. To make the surface suitable for conditions of hard wear and heavy traffic areas. The term granolithic means granite stone. 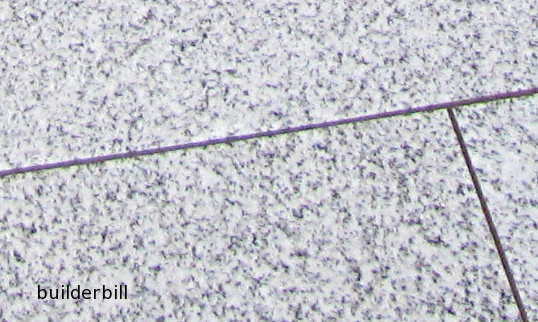 granite is known as an extremely hard rock type. 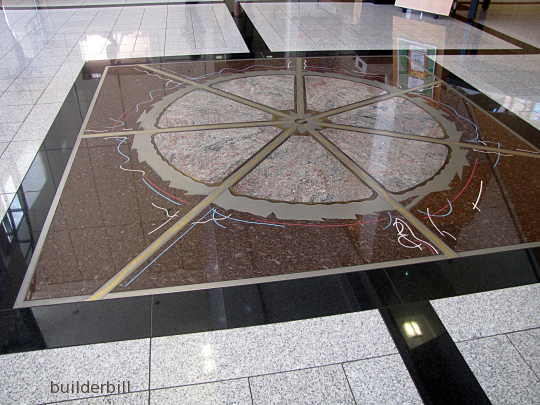 Well designed concrete out of any hard rock will provide a strong and wear resistant surface. 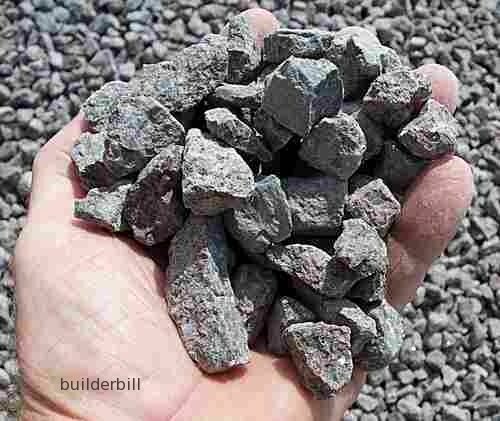 The aggregate shown above comes from a quarry at Mount Bundy in the Northern Territory of Australia and is of a particularly hard type of rock and although it is the main ingredient of standard concrete if the design was adjusted it could indeed be used as granolithic. For the most part though granolithic as a term for concrete is falling out of use now and because of the cost of these high strength aggregates they are usually used as topping layers. Increasingly the modern wear resistant surface toppings for factory and warehouse floors are becoming very sophisticated and containing various cement additives and polymers (Plastic resins). Many of them contain iron powder for wear resistance and others are epoxy based rather than cement based. Above is a wider shot of the top photo. The white is actual granite based topping, that has been laid inside a pattern of brass strips. Other sections are different topping mixes for decorative effect. The centre panel used epoxy and polymer based topping mixes. The whole floor was ground then polished and sealed to provide not only a hard wearing surface to a public building but to also give an attractive effect.